Conservation of archaeological finds basically means looking after them! 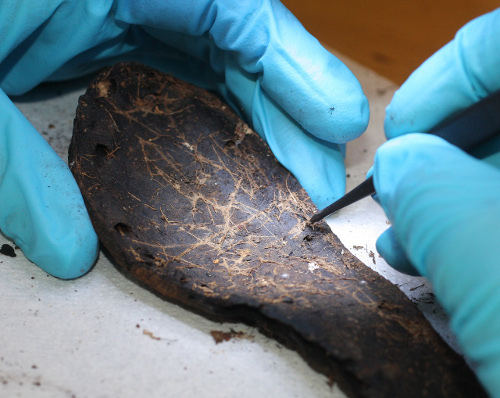 Conservation aims to make sure that objects do not decay after they have been excavated. Conservation includes the study, preservation and restoration of finds. Different objects need to be conserved differently. For example, wooden objects need to be cared for very differently to metal objects.